It’s a funny old place to get to, Cornwall. We commented this morning when getting from Polperro to Mawnan Smith how easy it is to take a road that you think is right and then end up getting dead-ended on some promontory somewhere with only a chain ferry that runs twice a day. That’s part of the attraction of a Devon and Cornwall holiday. Whichever way you look at it though, it’s a lovely place for a road trip. The scenery is fantastic, the pace of life is a few notches down the scale and oh, those pasties! This week we’ve been on a Southwestern retreat. A break from home and the office and a chance to take in some of those views. We started our midweek break with a night in the Moorland Garden Hotel. Located just off the Plymouth to Tavistock road, it sits just at the bottom end of Dartmoor. 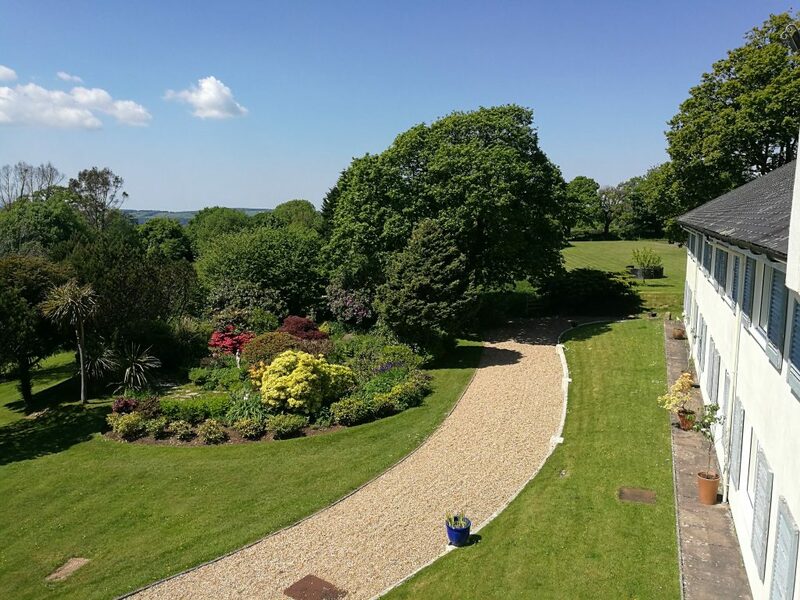 Guests can look forward to a warm West Country welcome, with the individual style of an independent, family owned hotel. Dining in The Wildflower Restaurant and Dartmoor Bar focuses on seasonal, locally sourced ingredients, with chefs dishing up relaxed ‘British modern’ fare and hearty pub meals. The hotel has been recognised with Four Stars and a Rosette by the AA. Rooms cost from £69 per night on a bed and breakfast basis. What a haven of peace and tranquility it was. There was no hint of road noise to spoil the idyllic setting, despite its proximity to the A386. Surrounded by greenery and flora, the silence is only punctuated by occasional pheasant calls. The hotel’s grounds are beautifully manicured and the way it’s been done really accentuates the beauty of the wildflowers that abound. Our room had a balcony overlooking the main garden and it proved to be a real sun-trap. A mandatory mini-snooze in the deck-chair before dinner hit the mark spot-on. Speaking of dinner, the food wasn’t too far wide of the mark either! The mini pork Scotch Eggs were the perfect starter to precede the absolutely delicious lamb shank that followed. It was easy to see why the restaurant and head chef deserve the AA Rosette. It’s easy to get to, the rooms are delightful and the food was very special. Things were going well so far! Next was a short hop down to Talland, a little bay between Looe and Polperro, where the Talland Bay Hotel sits proud on the hill overlooking the bay. It’s an oasis of green with spectacular views over the sea and headlands. The gardens are full of little surprises too, with chicken-wire sculptures, itinerant mannequins and yellow bicycles scattered around here and there. 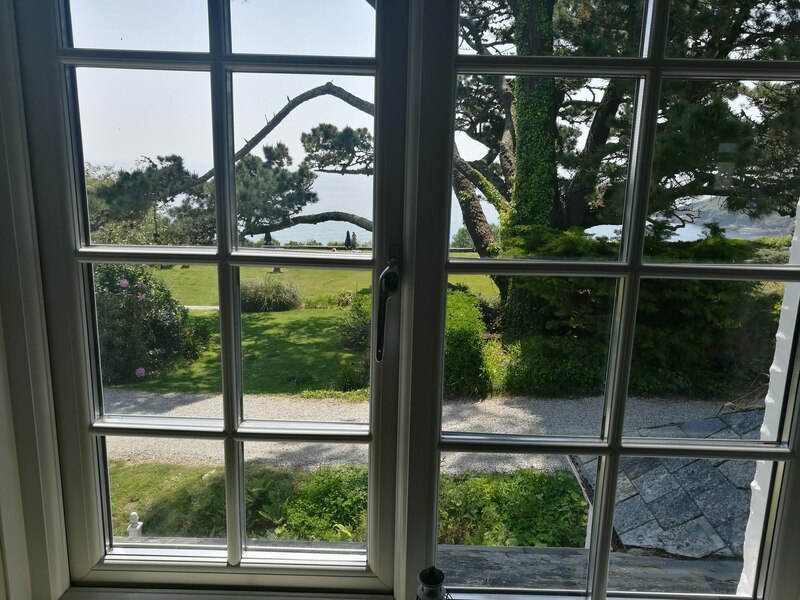 Our final stop on our Devon and Cornwall holiday was at the Budock Vean Hotel at Mawnan Smith, just south of Falmouth. Again, it was a magnificent setting. 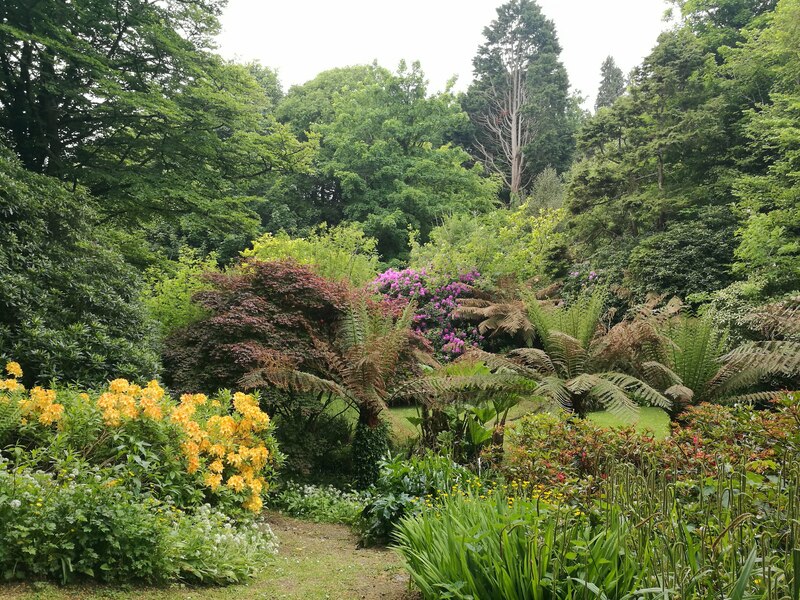 There were great views over the Helford River and beautiful gardens and ponds lining the footpath down to the shore. The hotel exudes class and everything about the rooms, dining and service was spot-on. There’s plenty to keep visitors occupied too, with a 9/18-hole golf course, swimming pool, leisure spa, tennis courts to name but a few. River boat trips can be booked at reception and there’s so much else to see nearby, there’d be no reason to venture more than a couple of miles at any point during your stay. The garden patio was the perfect setting to just take in the view from the hotel. You can see all the way down through the gardens to the river foreshore below. It was only the occasional Royal Navy helicopter buzzing over that reminded us that we weren’t in some kind of paradise! A wonderful night’s sleep in the immaculate signature room was the icing on the cake for the whole break. As always, we were a little sad to have to head home after spending a fantastic three days in some of the nicest hotels we’ve ever had the pleasure of visiting. If ever there was an advert for a good old British ‘staycation’ then this was it.